You'll profit from the solid advantages of Belco's Model ILS Impulse L-Sealers. These ruggedly-built machines provide the framework for greater productivity and less maintenance, which means higher profitability for you. Belco's durable, heavy-duty, fullywelded tubular steel frames give you dependable performance and consistent results, even after years of hard use. Belco L-Sealers are built to last. No bolts to loosen and weaken the machine. No shaking and rattling to affect production performance. No I parts sticking or jamming in critical situations. These well built, smooth running machines give you strong seals, run all commercially available shrink films as well as polyethylene and provide maximum productivity with lower operating costs. What you get is a total performance sealing system. With over 40 years of manufacturing experience, Belco has learned that your framework for productivity and profitability relies upon many important elements beyond the machine frame itself. The welded steel box construction of the seal head is designed and built to prevent flexing and misalignment during the constant, daily use of the machine. This unique construction contributes to consistently strong seals, long element wire life and years of trouble-free performance. The Sealing operation is safe, fast and reliable. Simply place your product into the centerfold of film, advance both film and product into the seal area and then lower the sealing arm. Upon completion of the heat cycle, the arm will return to the up position, leaving your product fully wrapped. No matter how difficult your production schedule or what kind of film you choose, you can depend on Belco L-Sealers for maximum performance and optimum results. Inside and out, from top to bottom, Belco creates a framework for efficiency...a machine that pays for itself. 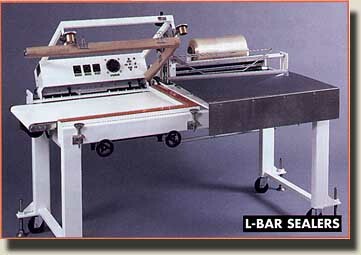 Belco L-Sealers feature: constant and impulse heat sealing, adjustable impulse time and heat adjust, a sealing wire temperature sensor to prevent overheating the wire, aluminum infeed tray with film opening horn for easy product loading, adjustable height sealing table and a sturdy film roll holder with unwind brake. Popular ILS options include: Magna-Lock seal arm hold down, air-operated seal arm, power take-away conveyor and powered film unwind with adjustable film inverting head. Various hole punches for air evacuation are available depending on your product, your required packaging needs and which Belco model L-Sealer you choose. Heavy duty locking casters for portability and space conservation are standard. It's not surprising that the most dependable...and consequently, most productive... sealing systems on the market are made by Belco Packaging Systems, Inc. The largest manufacturer of shrink packaging and blister sealing systems on the West Coast, Belco engineers every product for long life and maximum productivity. All Belco machines are backed by a quality service and repair network, a friendly, knowledgeable staff that makes doing business so easy and one of the most comprehensive warranties in the industry. Belco Packaging Systems, Inc., the experts at developing complete packaging systems for your specific requirements, is committed to your total satisfaction. No ifs, ands or bolts. How to choose which Belco L-Sealer is right for you? The first consideration is the size range of packages you need to wrap. If they will not fit into the seal area, you can't wrap it. Low profile packages call be sealed in seal areas that are much closer in size to your actual package length and width. Taller packages will require larger seal areas. It's crucial to consider the entire size range of packages you want to wrap. 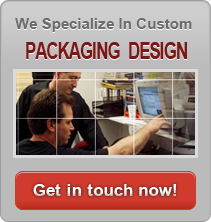 If your packages include irregularly shaped designs, small, low profile or high profile cube boxes or cartons? Some of your Products may benefit with increased packaging speeds by considering Belco's unique inverting head powered film unwind system. Your operator will spend less time preparing and handling the product and realize more productivity in the wrapping operation. Do you require standard or high speed productivity? You should consider how many packages you need to produce to nicer peak demands as well as satisfy regular production schedules. Belco's air-operated L-Sealers with inverting head and powered film unwind call dramatically increase your daily production output. Belco offers many options that can be added to your ILS which are designed to meet your specific production requirements and enhance your productivity. These include: powered film unwind with adjustable inverting head, air-operated seal arm or Magna-Lock hold down system and power take-away conveyor. Please ask your friendly Belco representative to assist you in determining; how each of these options can best meet your specific needs. Which ever Belco machine you choose, you can be confident that it will be productive and profitable for you!